Not a soldier, even less a spy, the shy, unassuming intellectual Fry heads a prestigious charity, the New York based Emergency Rescue Committee founded in June 1940, after the fall of France. They have only one goal: getting 200 of the world’s greatest artists and thinkers like Chagall, Matisse and Picasso out of France. To accomplish this, the ERC sends Fry to Marseille in August 1940. He has one month to help 200 people. He will hang on for 13 months in Marseille and save over 2000 before the Vichy Police expel him from France.Varian Fry works out of the only free port in Nazified Europe, Marseille, the capital of Free Zone France. The southern French city, noted for its sunny weather, its bouillabaisse and its easy living, is flooded with refugees from all over Europe. In 1940, Marseille is a window of escape that will turn into a trap when the Nazis invade. Time is running short. Fry’s Emergency Rescue Committee in Marseille quickly develops a sideline of smuggling people over the Pyrenees and falsifying documents. The Gestapo and the puppet Vichy Police are hot on his heels. Fry has to keep out of sight but also shelter the great names, like Chagall, who risk death for being artists and Jewish. 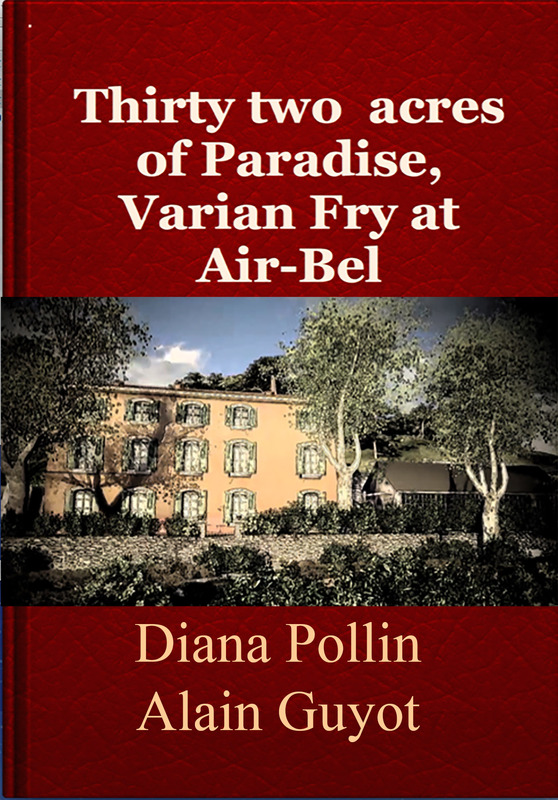 The Villa Air-Bel, a large old house on the outskirts of Marseille, is the perfect hideout for Fry, his sympathizers and the great French artists he is rescuing. Fry becomes its tenant for a short year. But, the Villa has a strange power to haunt. It conjures memories of the past which will stay with Fry throughout his whole life.“Thirty-Two Acres of Paradise” tells the true story of Varian Fry, who lived a few streets away from the author in Manhattan’s Upper West Side during the last years of his life. 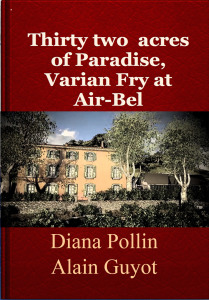 “Thirty-Two Acres of Paradise” tells the story of a domain, the Villa Air-Bel, which has not lost its power to fascinate, although it physically no longer exists. Who said “You can’t go home again?” Home is where our pasts reside. Some are happy, some are sad and others are heroic…improbably heroic.